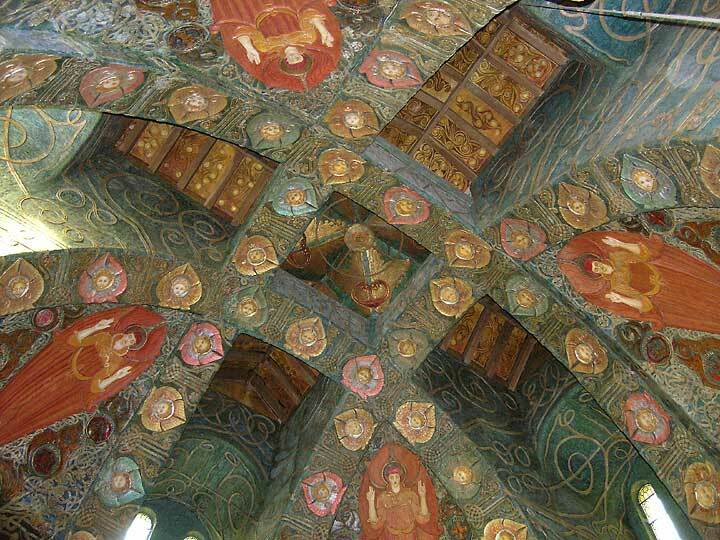 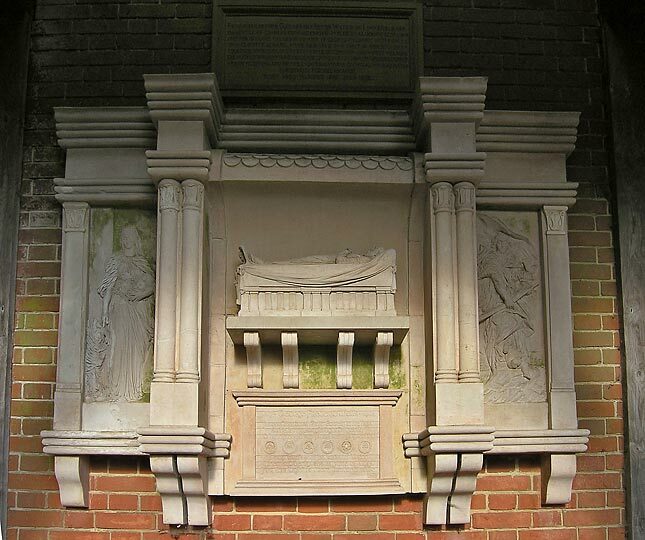 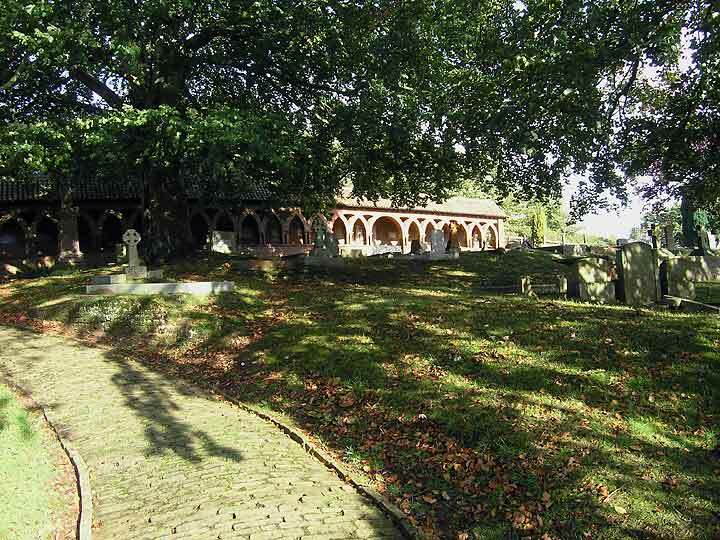 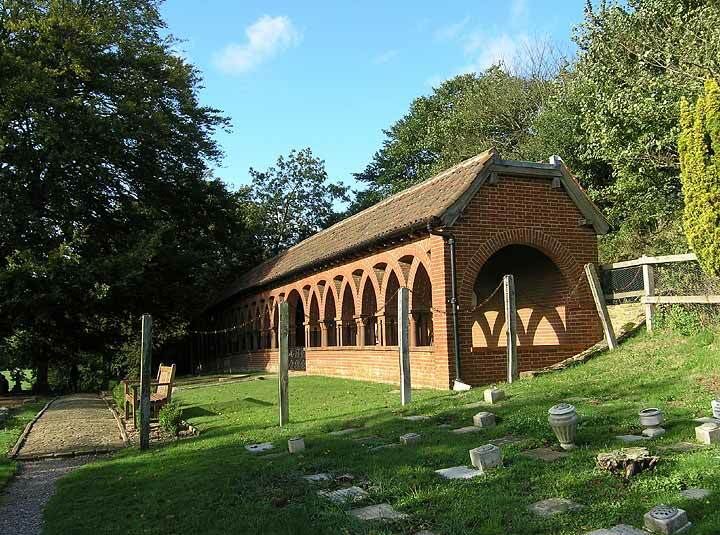 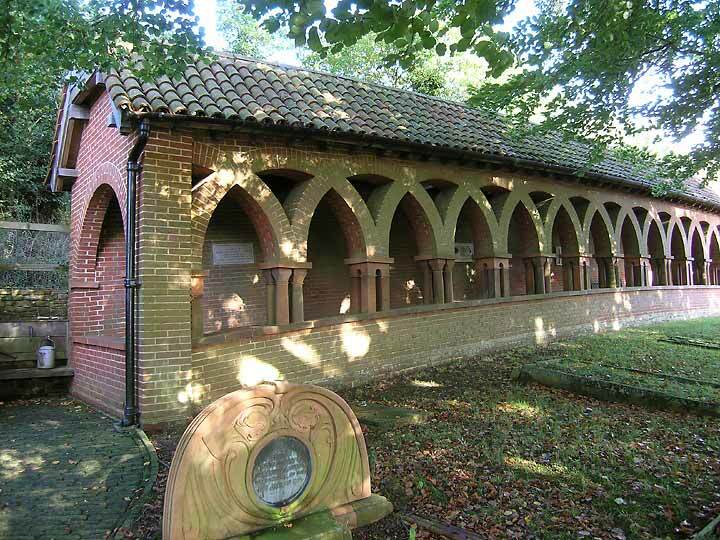 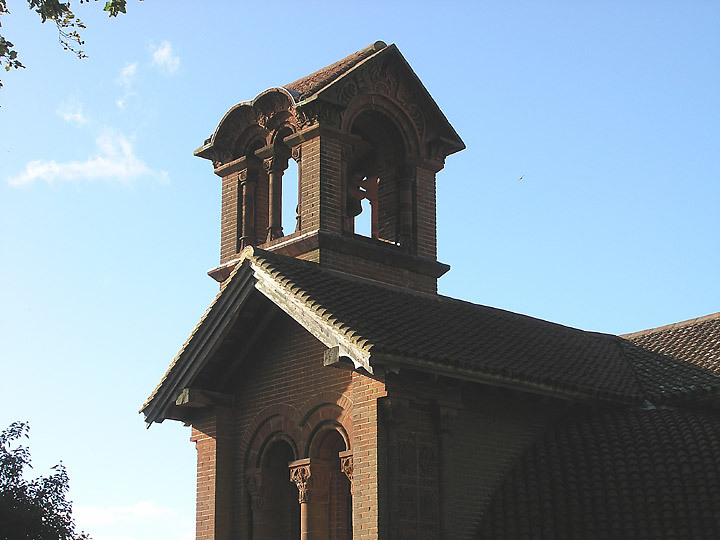 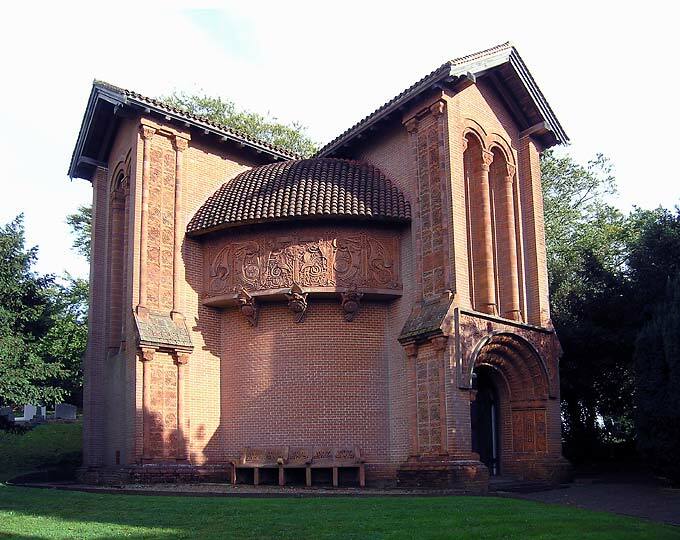 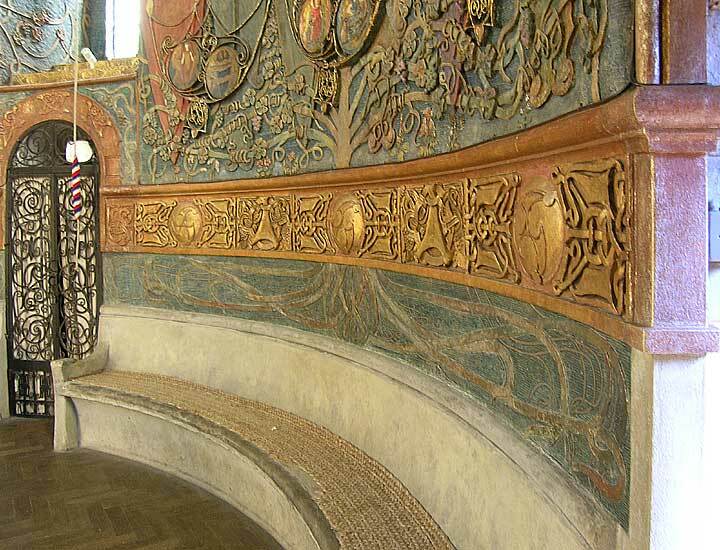 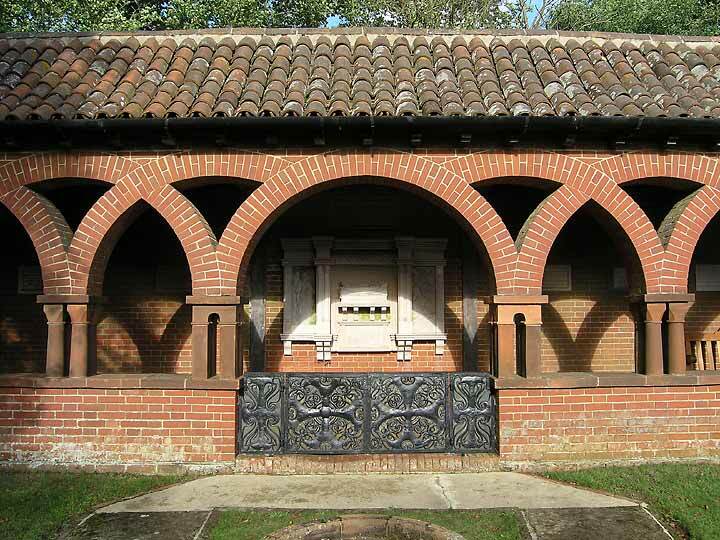 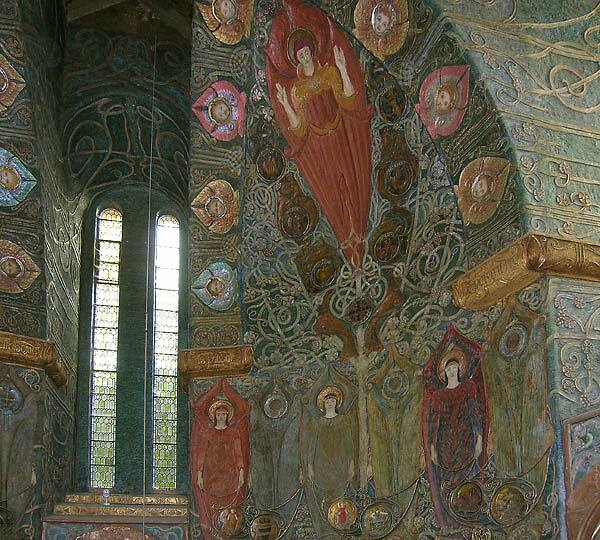 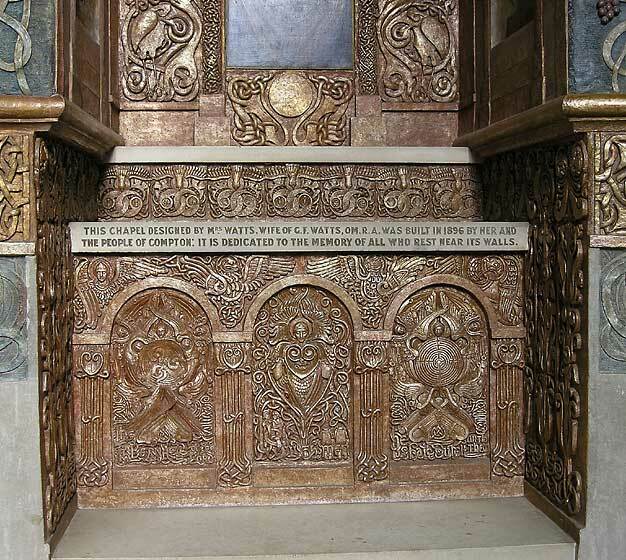 The Late Victorian painter G.F. Watts (1817-1904) lived at Compton ... His wife designed this burial chapel in 1896 ... 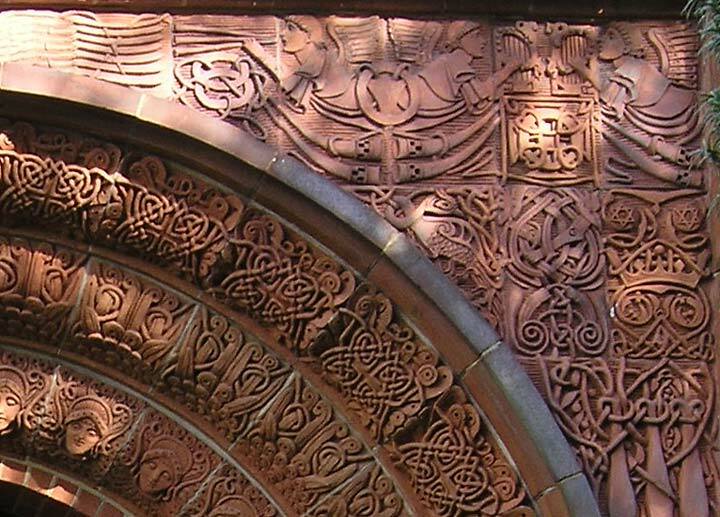 The outside of the chapel is a mixture of Italian Romanesque motifs, ornament derived from Celtic manuscripts, and the heavy symbolism so dear to Late Victorian England: 'the ground plan symbolic of Eternity (a circle) through which runs the Cross of Faith'. 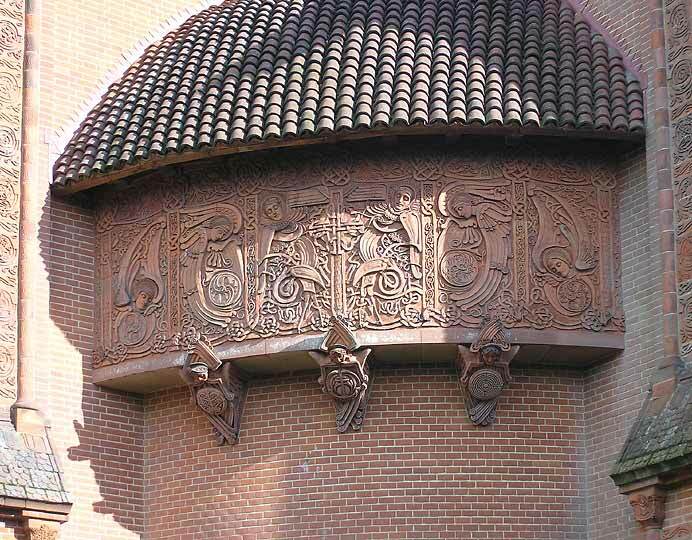 So the plan outside is a Greek cross with four curved walls between the arms, with many bands of terracotta ornament delicately and crisply cut, all with an elaborate symbolic intention ... 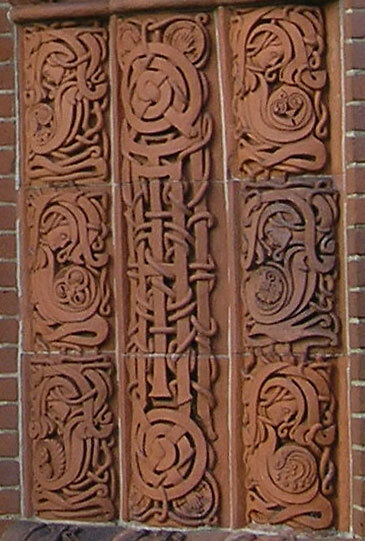 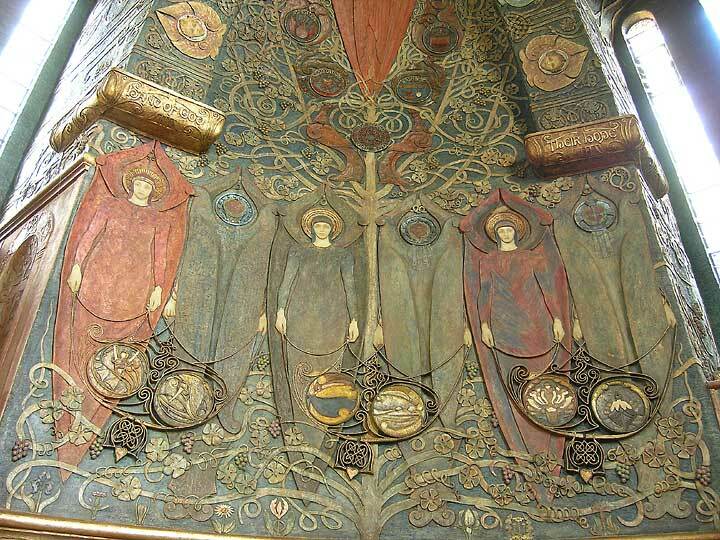 The obvious natural style for this would have been Art Nouveau, and had the artistic climate been homogeneous Mrs Watts would naturally have used it. 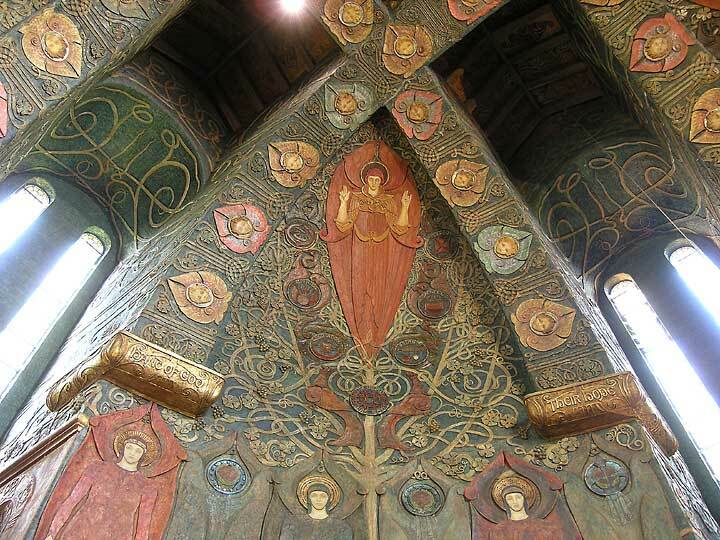 But in England each small advanced group was working separately, and so the chapel desperately attempts Art Nouveau effects from the outlandish standpoint of the Celtic Revival. 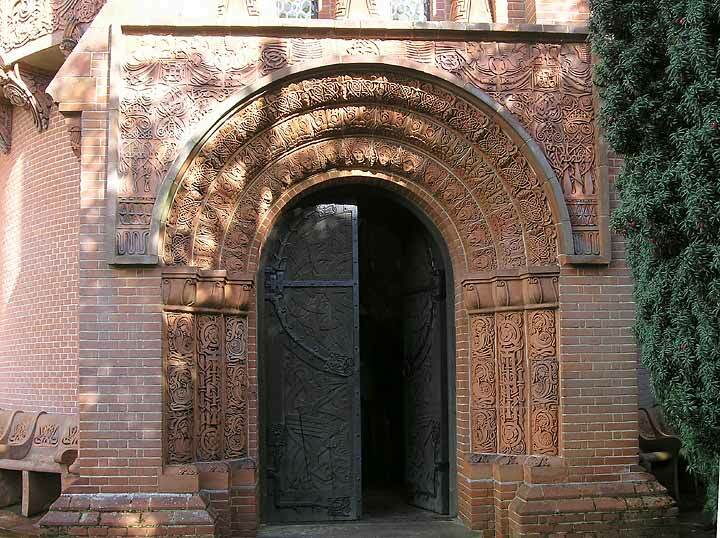 Watts ... is buried in the churchyard in a cloister designed by Mrs Watts in a semi-Moorish Monreale way, one more attempt at finding a style.